Prepping for the LSAT is going to be a lot easier if you are feeling motivated and inspired to do your very best. 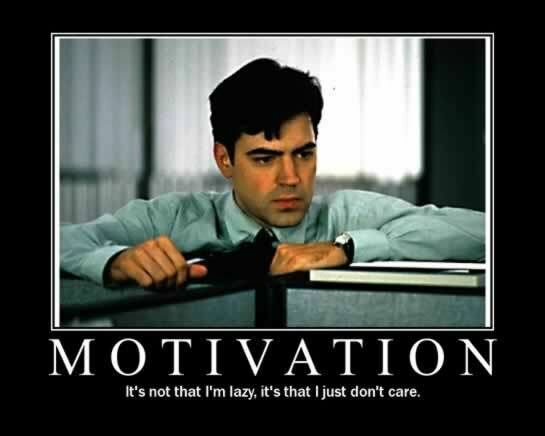 But how do you conjure up ‘motivation’ and ‘inspiration’ for LSAT prep? It’s not just something where you can snap your fingers and say “I’m motivated.” But you have to do it somehow! Don’t discount for a second the importance of staying motivated during LSAT prep. It’s very difficult when you aren’t motivated to pay attention to something. Forgive me for discussing brain science for a moment: attention is an aspect of cognition closely connected with working memory and the ability to learn. Basically, you can’t learn, and improve very much if you aren’t paying attention, and we all know it’s tough to pay attention if you aren’t motivated. This should be apparent to anyone who sat through a subject they hated in high school. More than likely, you did poorly in that subject, right? Let’s discuss how to avoid that on the LSAT and trick your brain into ultra-motivation mode. This is a double-edged sword because you can get a little nervous (okay, maybe very nervous), but I think for motivation’s sake it’s best to approach the LSAT being fully aware of how important this thing is. Let’s pretend I am the ghost of LSAT future, and I visit you and show you what your life will be like if you study hard for this exam. Get 3 or 4 more points and you can get into a higher ranked school, which may lead to better clerkships, jobs, husbands, etc. (We are only slightly kidding about that last one. A LOT of people meet their future spouse in law school). Alternatively, you can get in to the same school with a way bigger scholarship. That can mean a few years earlier that you have enough money to buy a house, or, if you aren’t the bourgeois type, it’s that much sooner that you can be traveling the world doing wild things on your vacations. The LSAT determines more than 50% of whether you get into a certain school, and probably is an even bigger part of whether you get a scholarship. Seriously, work you put in to the LSAT is likely to have the biggest payout of any work you do for a long time. If you do prep hard, there is a nearly 100% shot that you will do better than if you only study a little bit. Check our study schedule for an idea of what we consider prepping hard. We put in three months of hard work and both got the biggest scholarship our school offered, over 60k. You can turn this payout into a big motivator. Don’t let it freak you out: all you can do is try your hardest. Understand how important the LSAT is, and you will know why you are trying your hardest. This one might sound borderline crazy, but trust us, it’s a great tip. If you are having trouble motivating when you want to study for the LSAT, put that shirt on and look in the mirror. Think about how great it’ll be if you get in there. Everyone likes to act humble and pretend that they don’t care about prestige, but let’s be real, it feels great to go to an impressive school. Yes, it’s cheesy to wear that awesome shirt in the mirror but that’s okay! It’s inspiring! ‘Inspiration’ is just a cheesier word for ‘motivation’. Do a little goal visualization and trust us, you will be more motivated. This tip is all about taking care of yourself so that you aren’t too depressed to motivate. I played tennis with my brother nearly every day leading up to the LSAT. I know that it got my mind off the test and made it that much easier to refocus and motivate when it was time to sit back down and study. I wouldn’t recommend doing all your prep with a buddy, but if you can find someone who’s also preparing for the exam, it’s great to study with them once or twice a week. You can commiserate about how you are both missing out on parties to study. You can pat each other on the back if things are going well. Most importantly, you can help each other stay motivated. Discuss with them what you plan to do for each upcoming week of study, and it will be easier to keep yourself on task. When no one’s watching, it’s pretty easy to just slack off. A study partner will keep an eye on you. Each week, set some prep tests that you plan to review together and then you are more likely to get through them. When I was prepping for the LSAT, I spent a lot of time reading what others who did well on it had done to prep. Maybe this doesn’t work for everyone, but for me an obstacle looks immediately smaller when I learn how someone else got over it. Start here: What I Did To Get A 177 on The LSAT. You aren’t the first person that struggled with motivation on this test. While the tips here should help, there are plenty of people with their own stories of how they succeeded on the LSAT. Listen to them and you can use their advice to stay motivated.